“On “Evanescence (A Love Letter)” Varg presents an absorbing playful/skillful audio workout over its 10 tracks. Continuing his largely collaborative approach from the recent Nordic Flora outings, the mixtape is filled with guest stars - both vocalists and producers. 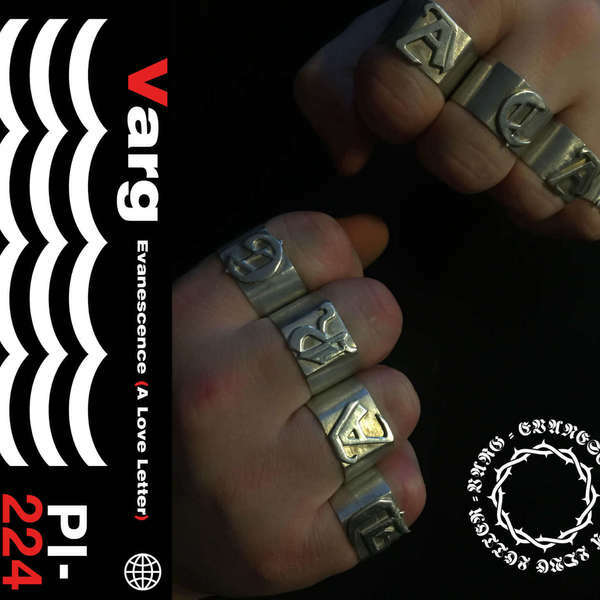 It works in the bizarre logic that Varg releases most often work- it’s hard to imagine Puce Mary and Bladee being guest stars on the same release and it flowing seamlessly and yet that is exactly what happens on “Evanescence”. Sound design, industrial pulls, trap hihats open and close, autotune falls in and out *gasping*, painting a portrait of an all together modern heartbreak. There is no doubt that the energy in the ten tracks is filled with paranoia and heavy chest pains and yet it has an immediate pull on the listener; feeling depressed has rarely sounded this appealing.